People with disabilities make up one of the most marginalized groups in the world. This group has the worst health and academic results, it participates less in the economy and registers higher poverty rates than people without disabilities. This figure represents more than 15% of the world population. Between 110 and 119 million people have difficulties working in the intellectual field. The number of people is increasing due to the aging of the population and of chronic diseases worldwide. As the ‘Confederació Espanyola d'Organitzacions a favor de les Persones amb Discapacitat Intel·lectual (FEAPS) points out, the process of aging of these people has certain peculiarities: its start is produced earlier and it is located at 45 years of age. The same organization to which ‘Plena Inclusion’ belongs, an entity that, in Catalonia, is represented by DINCAT, points out that approximately 18% of people with intellectual disabilities belong to the elder population, and that, in the course of the next two decades ago, this age group will reach 60%. Low-income countries have a higher prevalence of people with intellectual disabilities than those with high incomes. Disability is more common among women, the elderly and the poor child and adult population. Half of people with intellectual disabilities can not pay healthcare in disadvantaged countries compared to one third of people without disabilities. According to the World Health Organization (WHO), this group is twice as likely to consider unsatisfactory the health services that are given. He is also four times more likely to report that he is ill and almost three times more likely to complain about the healthcare he receives. There is a large gap between dropout rates for all age groups and for all contexts but there is a huge difference between the most disadvantaged and most developed countries. 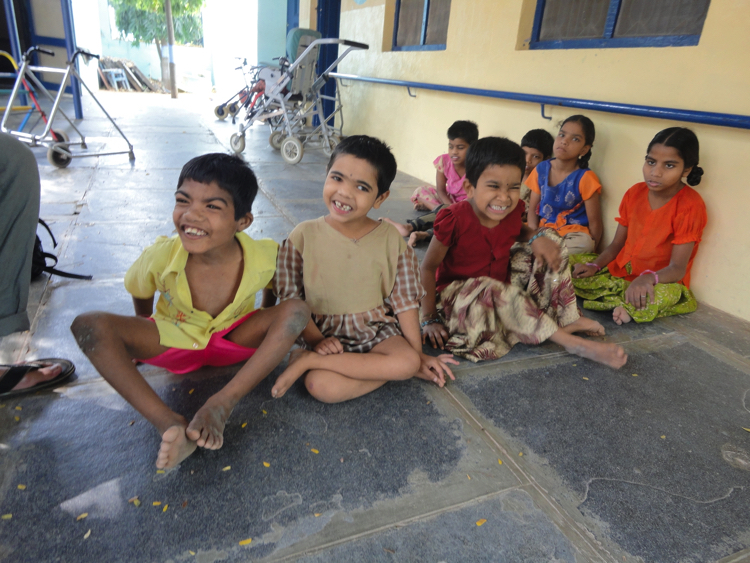 For example, the difference between the percentage of children with intellectual disabilities and children without disabilities attending primary school ranges from 10% in India and 60% in Indonesia. World data indicate that employment rates are lower for men (53%) and women with disabilities (20%) than for men without disabilities (60%) and for women without disabilities (30%). . According to the International Labor Organization, for people with intellectual disabilities, unemployment and exclusion rates in the field of education, employment, medical care and other services, as well as their membership in the community, they are high. People with intellectual disabilities live worse than people who do not have a disability. For example: insufficient food, precarious housing, lack of access to safe drinking water and sanitation. Due to the costs generated by this group, among other aspects (help devices, medical care or assistance personal) people with disabilities are usually poorer than those with no similar income. In many countries, rehabilitation services are insufficient. Data from four countries in southern Africa indicate that only 26 and 55% of people who needed a medical rehabilitation service received them and only 17% and 37% of those who needed help devices could access to them. Even in countries with high incomes, between 20% and 40% of people with disabilities do not see their attendance needs satisfied in relation to the activities they carry out on a daily basis. In the United States, 70% of the adult population trust their friends and relatives to help them in their day to day life. For example, access to general services can be promoted, investing in specific programs for people with disabilities, adopting a strategy and a specific action plan for this group, improving training, education and recruiting staff, increasing public awareness and understanding of the disabilities or guarantee the participation of people with disabilities in the application of policies and programs. • Everyone must have a socially valued life and must be respected. • All people can develop and increase the control they have over their lives with the right personal supports. • All people can contribute and have the right to access all community services. • All families have the right to have a normal life, like that of others, through personal supports and the recognition of their needs. Bayt al-Thaqafa’s membership recruitment manager denounces the human tragedy and rights violation behind the ‘refugee crisis’.